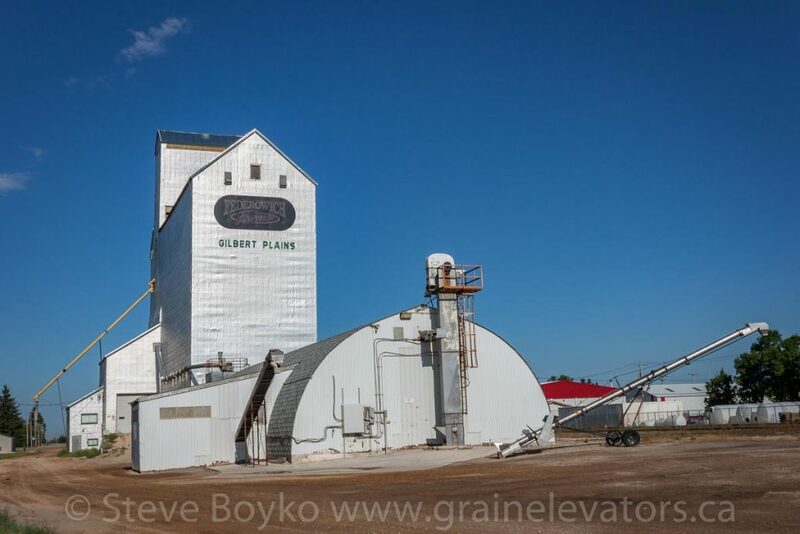 The Gilbert Plains grain elevator is owned by Federowich Farms. 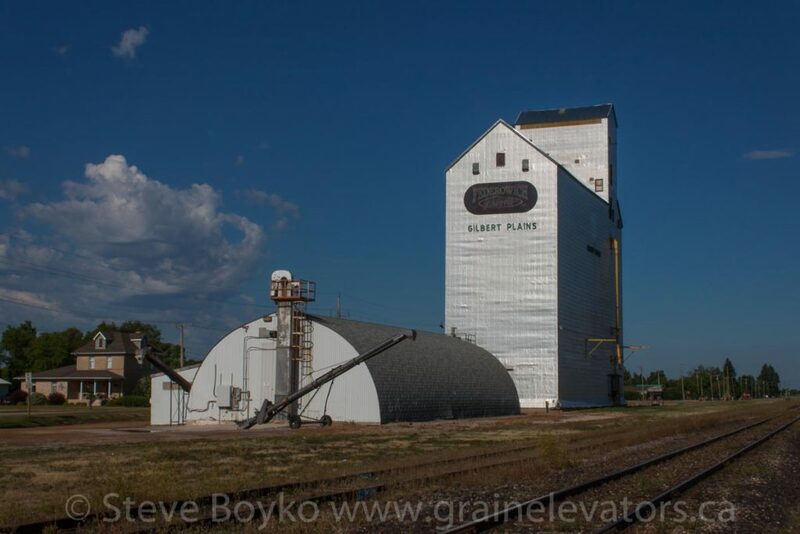 It is an ex Manitoba Pool elevator. 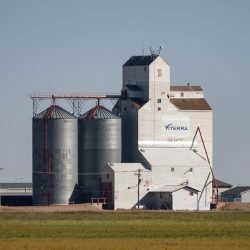 In 1999 there were two Manitoba Pool elevators, “C” with a capacity of 3,860 tonnes and “D” with a capacity of 4,460 tonnes. 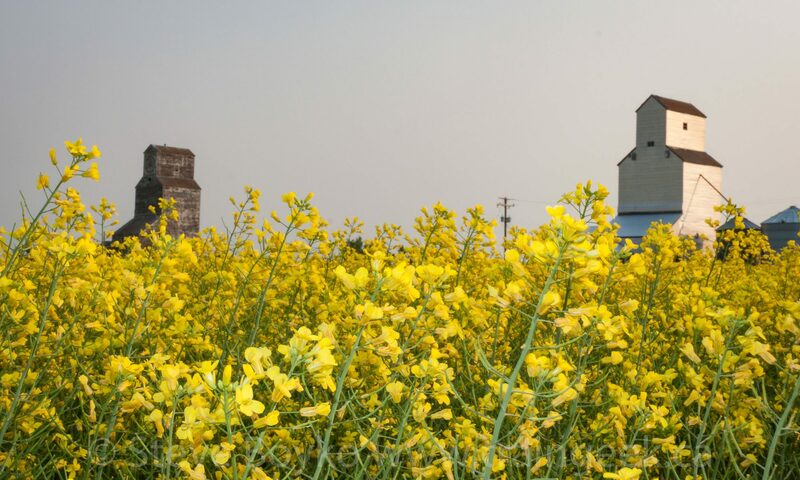 At one point there was a UGG grain elevator as well. The town has a lovely old train station and caboose (ex CN 78994) at the corner of Gordon Avenue and Main Street.